Fridge pickles! Change it up however you want. 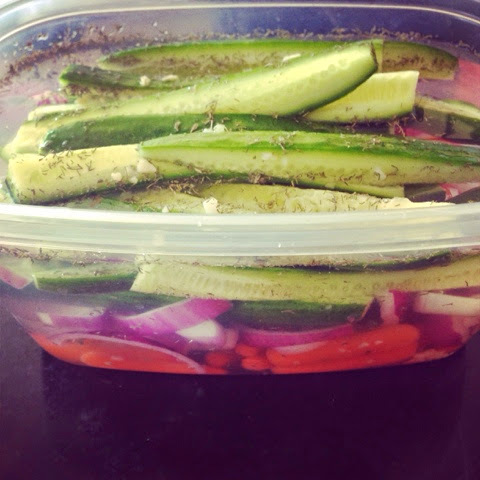 This is cucumber, red onion, carrots, garlic, dill and lots of vinegar. Let them soak for at least 24 hours. This is my fav to have on hand to grab when I need a snack.